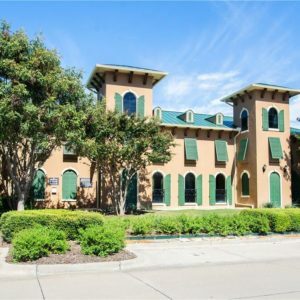 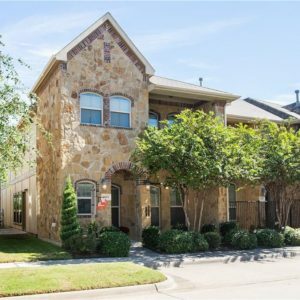 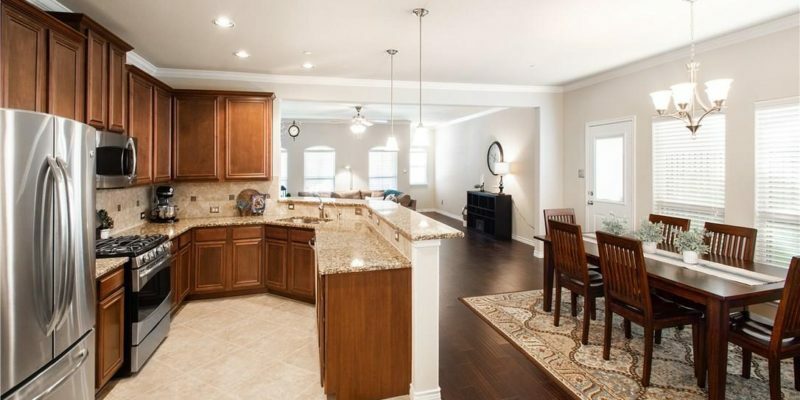 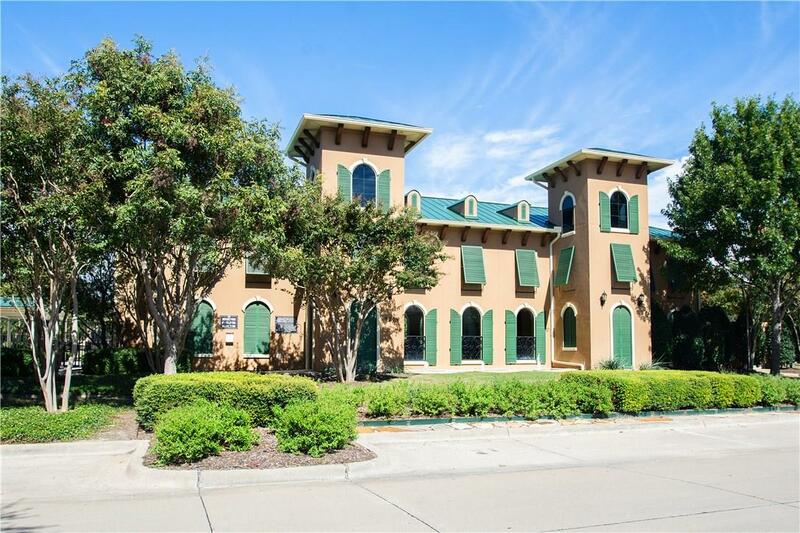 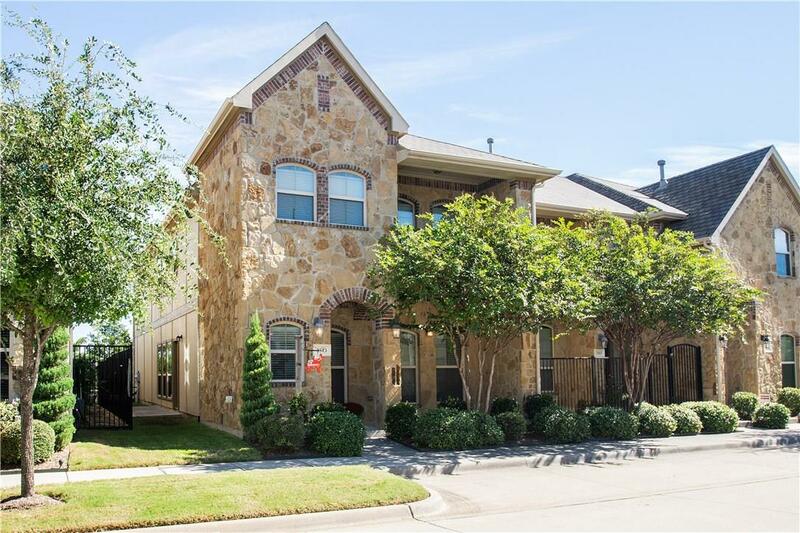 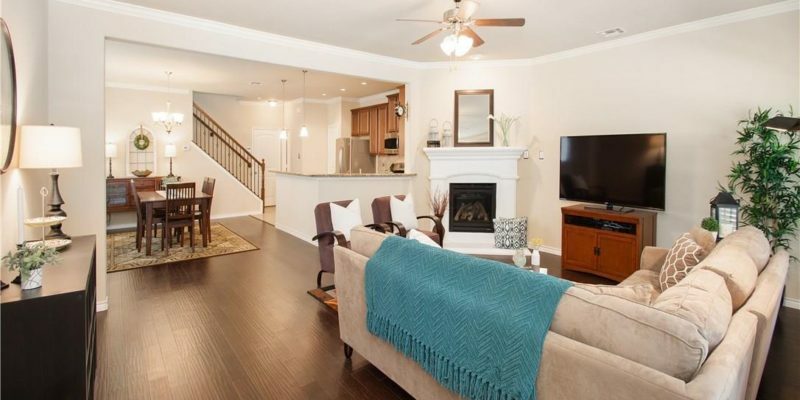 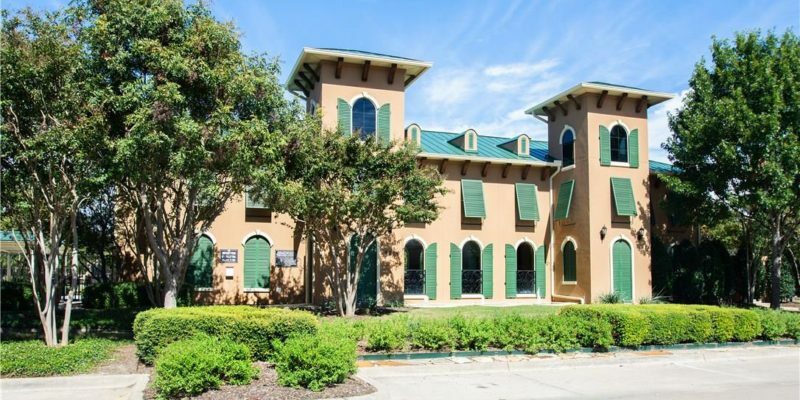 IMPECCABLE TOWNHOME IN AN IDEAL LOCATION! 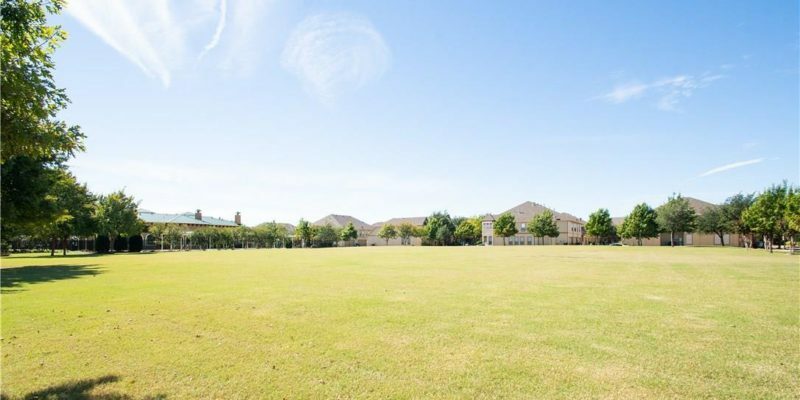 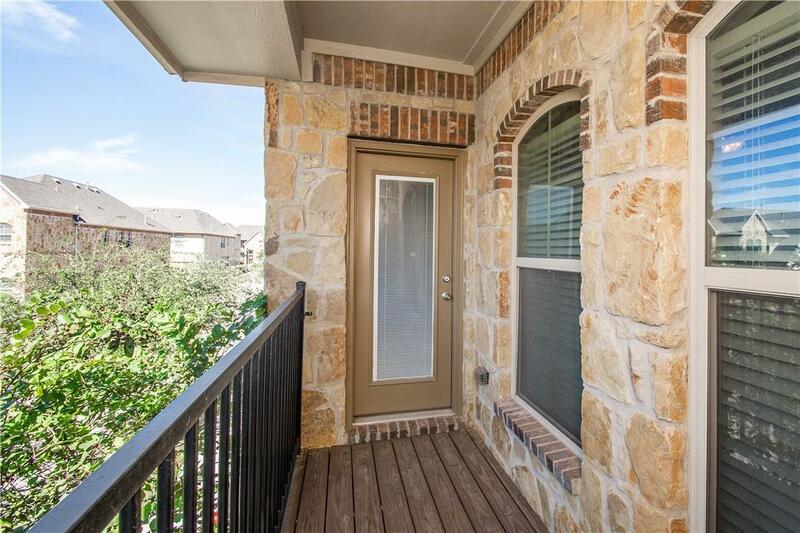 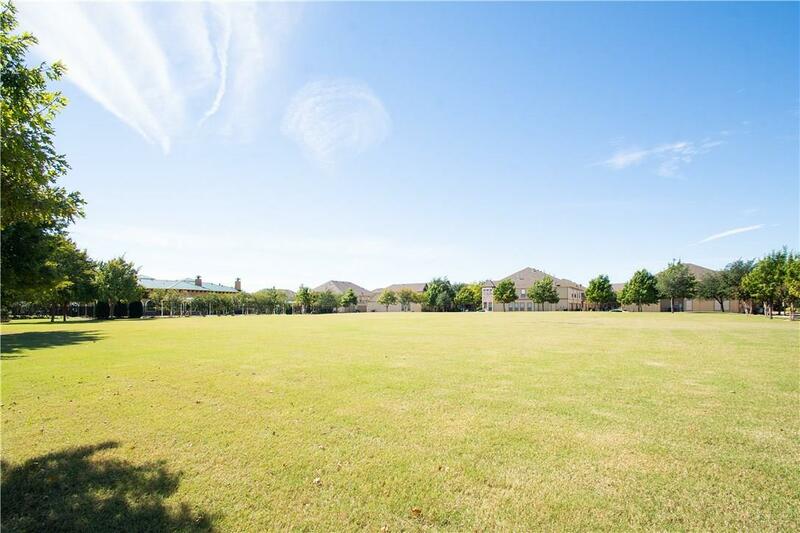 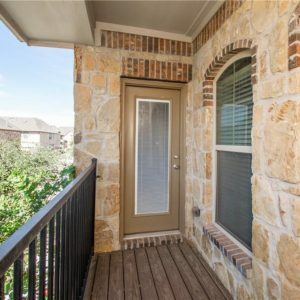 This highly sought after end unit with a covered front porch is located in the very back of Hemingway at Craig Ranch. 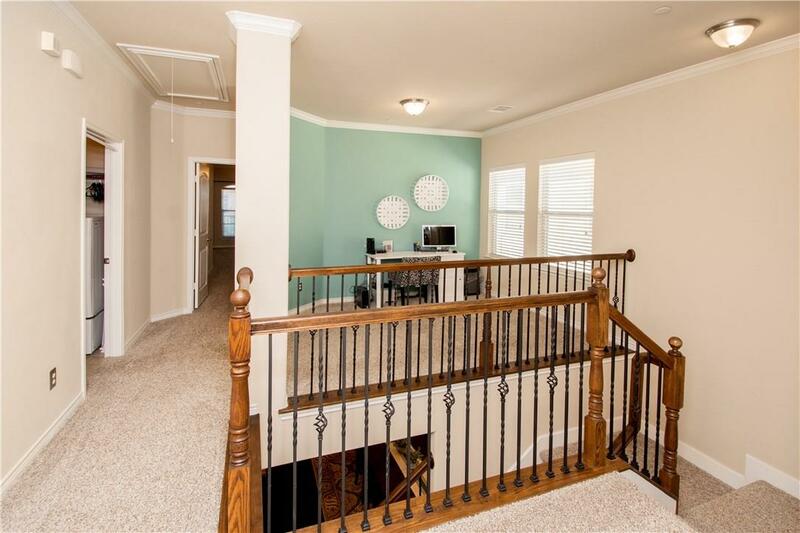 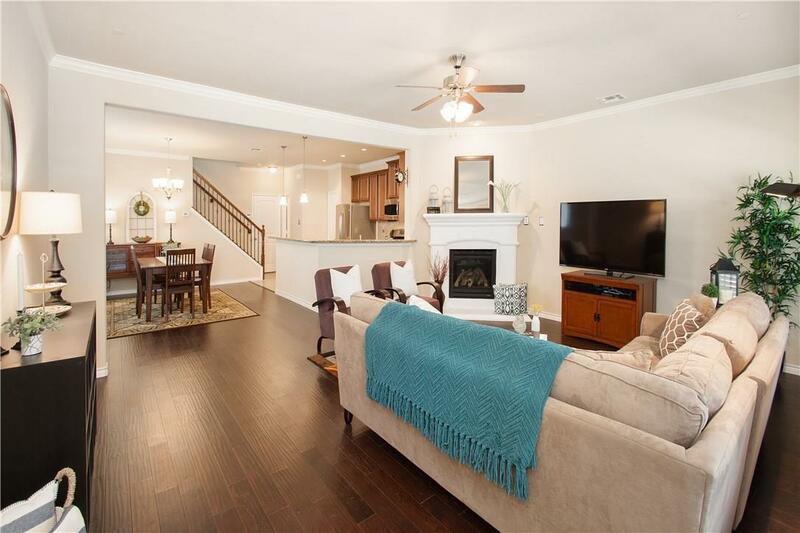 Gorgeous wood floors and crown molding greet you as you enter. 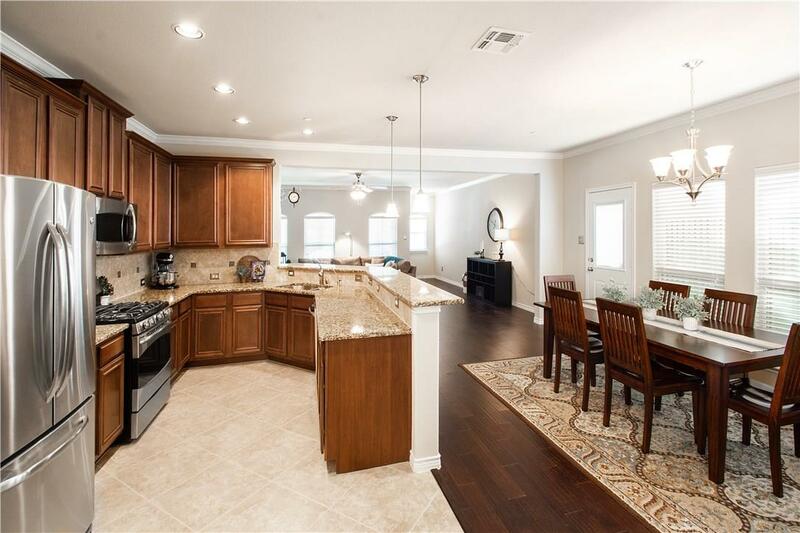 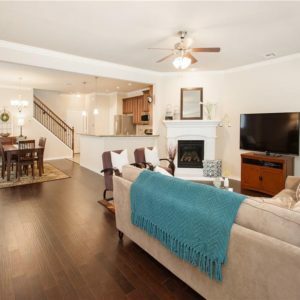 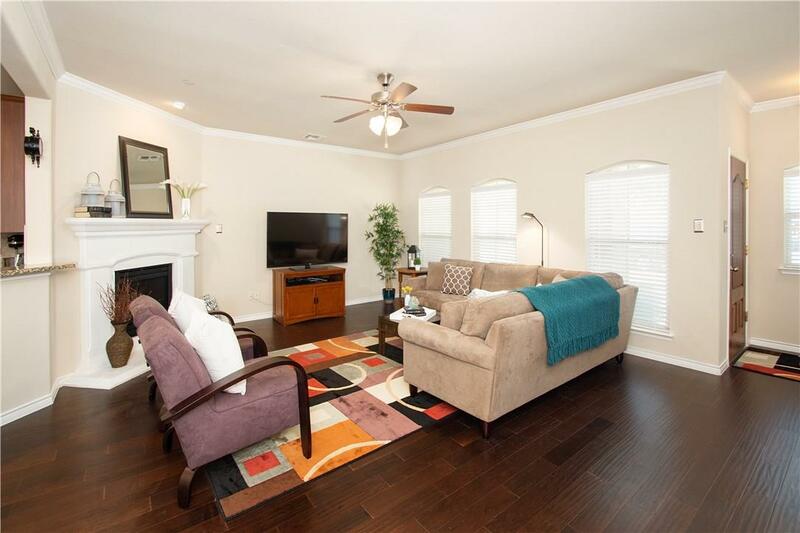 The family room has a beautiful cast stone fireplace and opens up to the kitchen and dining room. 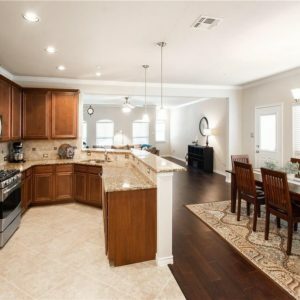 The chef’s kitchen features stylish granite, designer tile flooring and backsplash, stunning cabinetry, gas range, and stainless steel appliances. 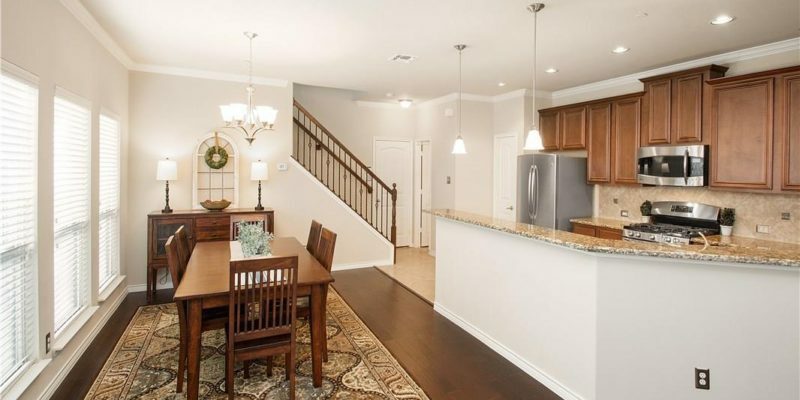 The over-sized dining space is perfect for entertaining. 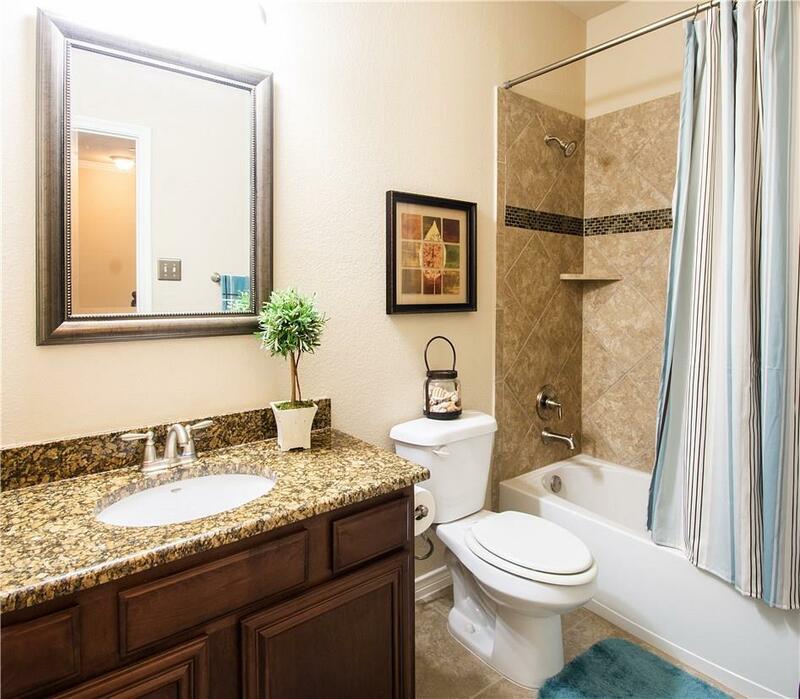 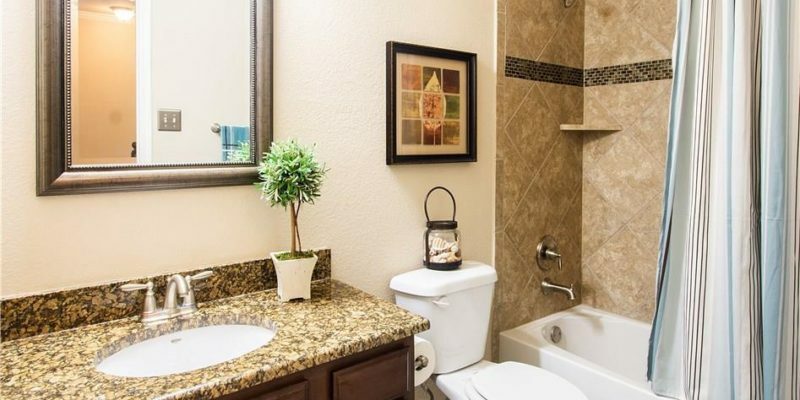 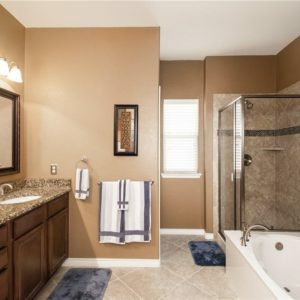 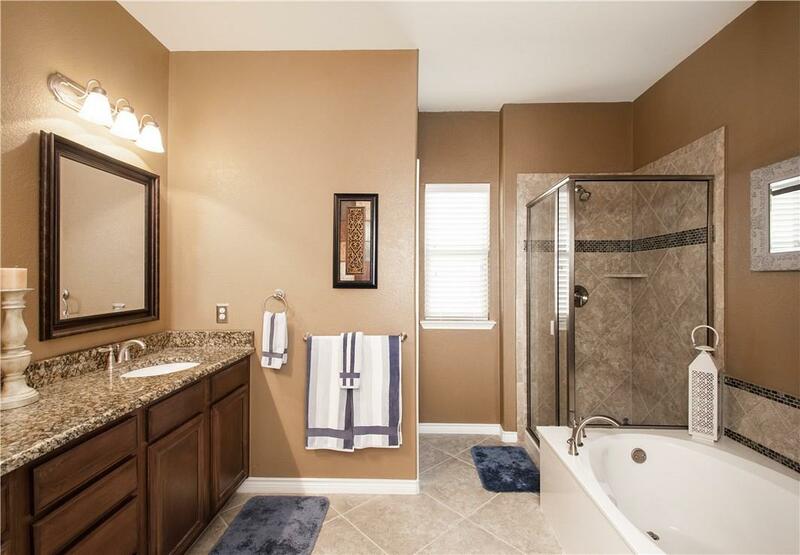 There is also a conveniently located half bath downstairs. 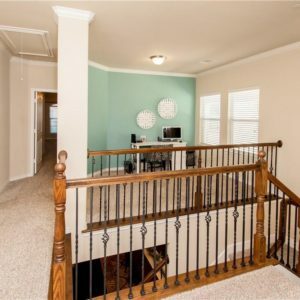 The staircase that leads up to the loft and bedrooms has wrought-iron spindles and a stained handrail. 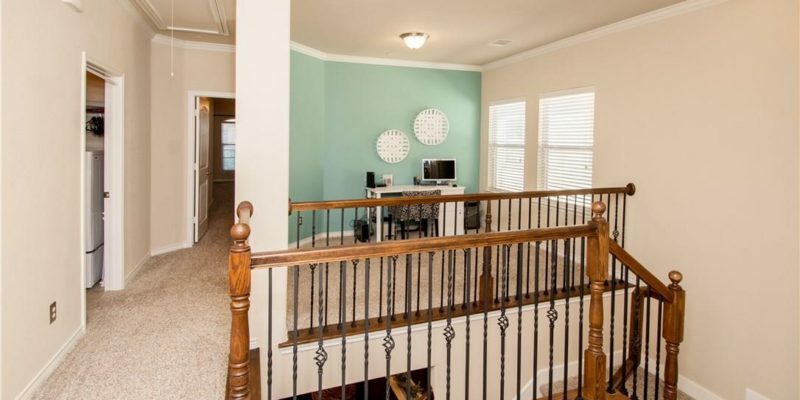 The loft area could easily be used as an office, lounge, or flex space. 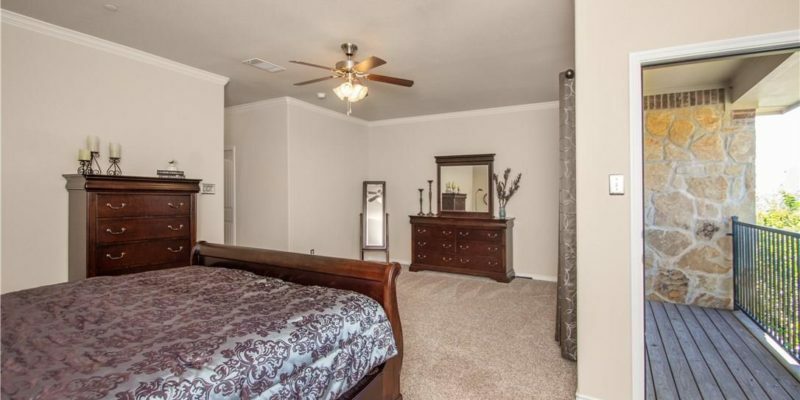 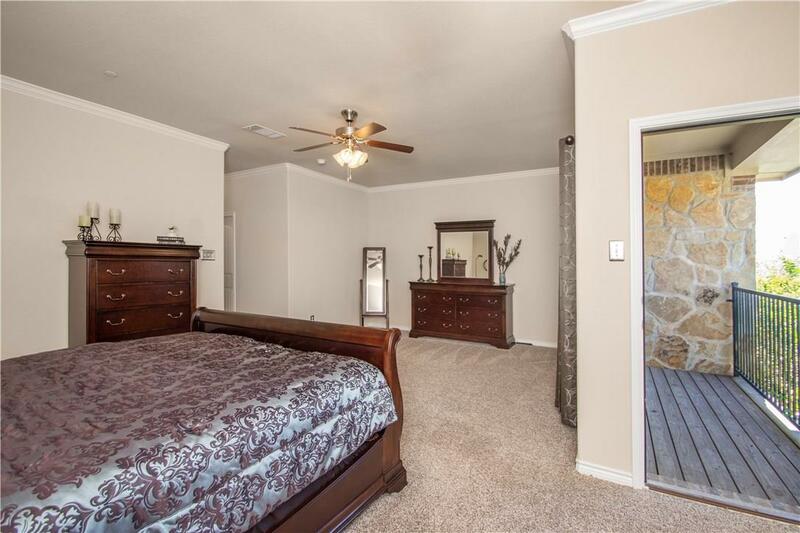 There are also two secondary bedrooms with large closets and a full bath with custom mirror. 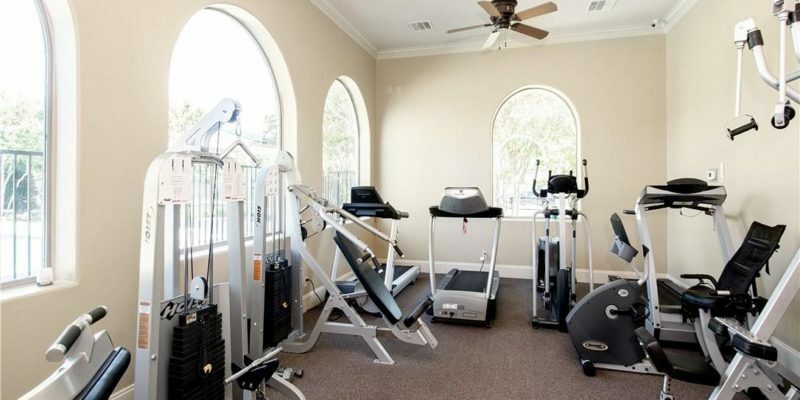 The laundry room is thoughtfully located on the second floor near all the bedrooms. 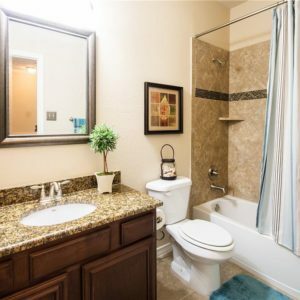 The spacious master suite includes a spa-like master bathroom with granite countertops, under mount sinks, custom mirrors, and a separate tub and shower featuring designer tile and stylish accent strips. 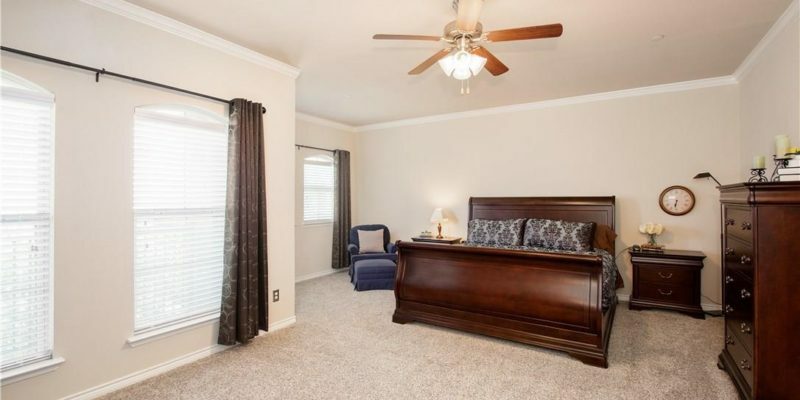 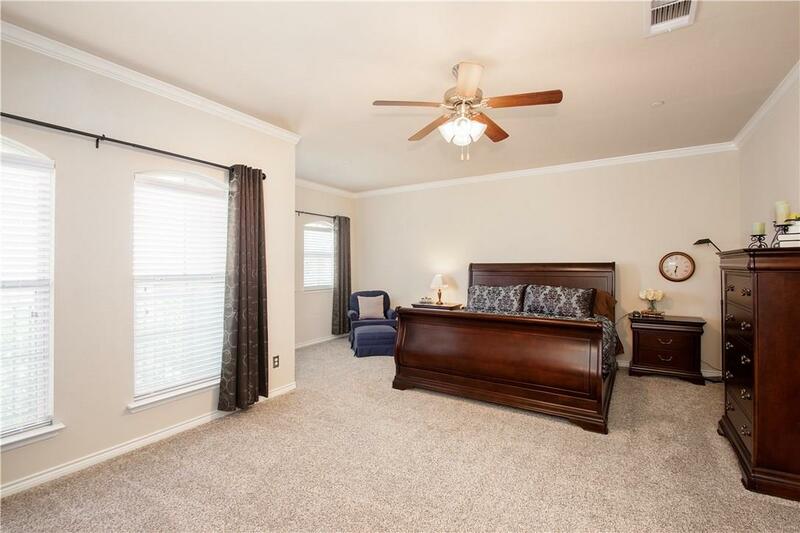 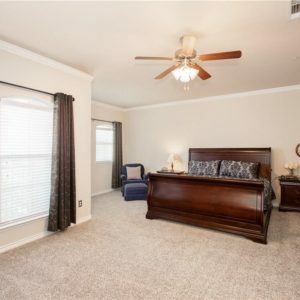 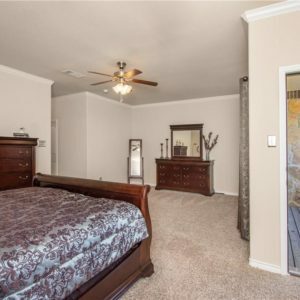 You will love unwinding on the upstairs balcony adjoining the over-sized master bedroom. 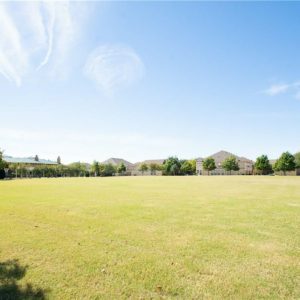 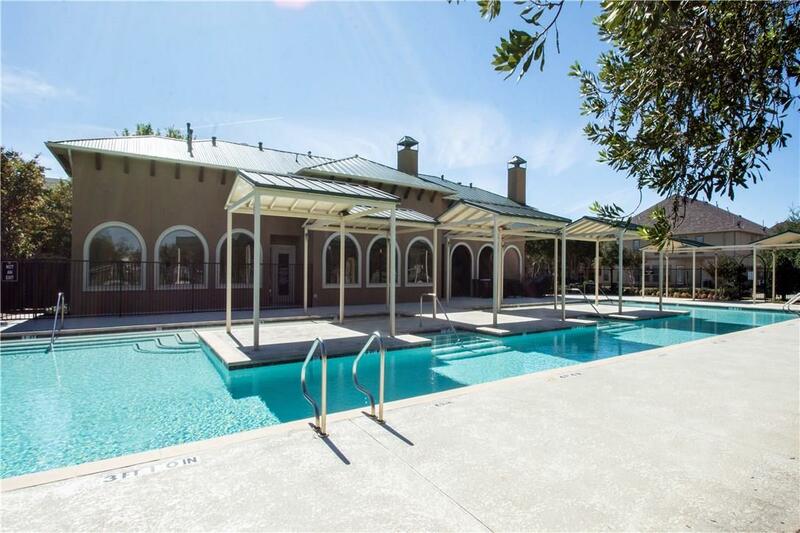 Enjoy the neighborhood clubhouse, pool, and gathering space. 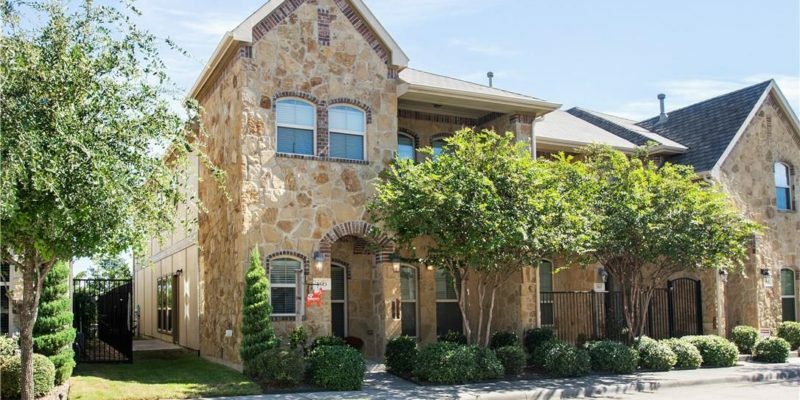 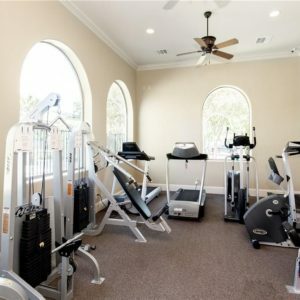 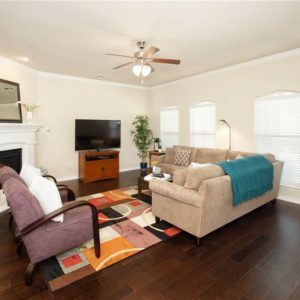 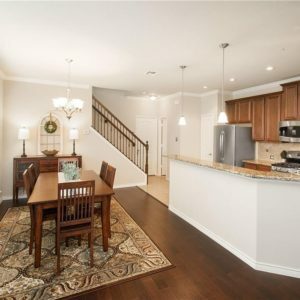 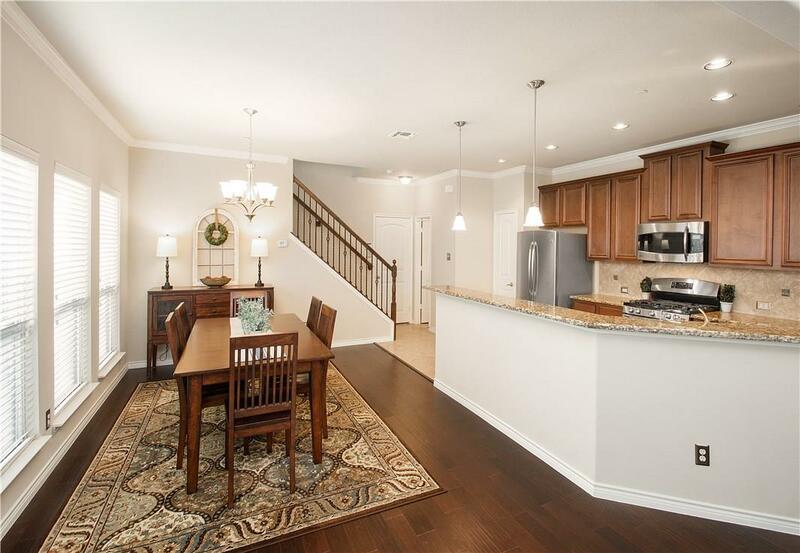 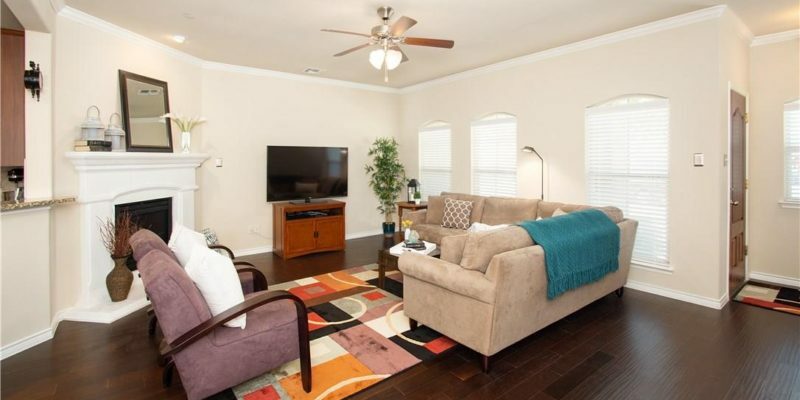 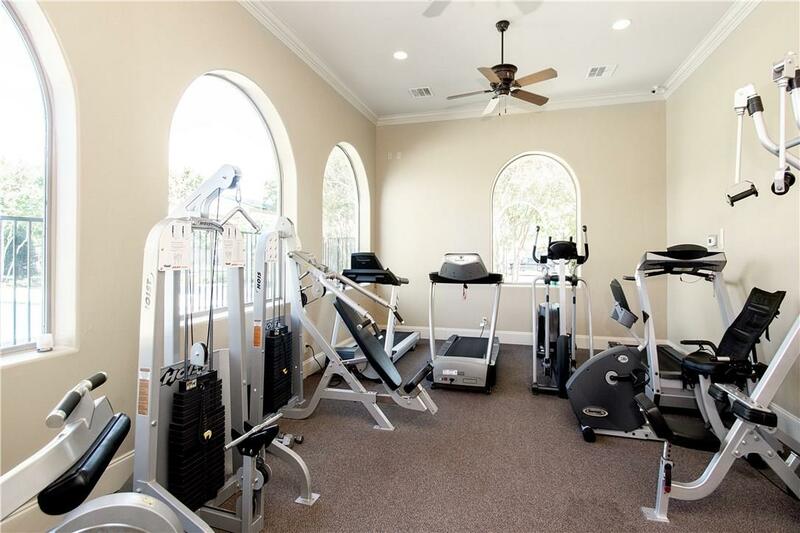 Close to great shopping and restaurants, this townhome has it all! 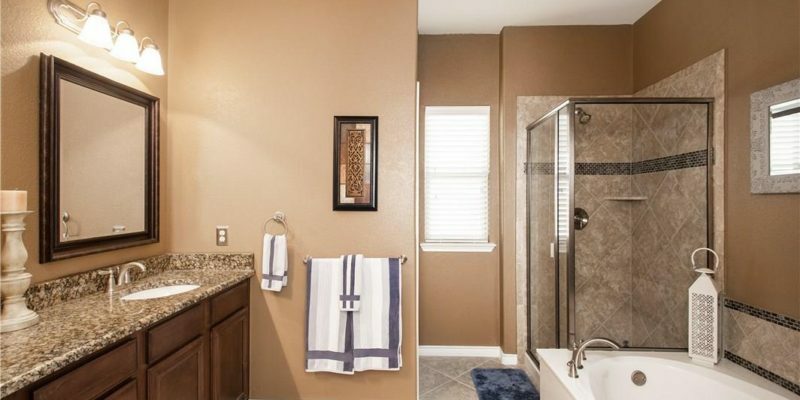 Fridge, washer, and dryer to remain! 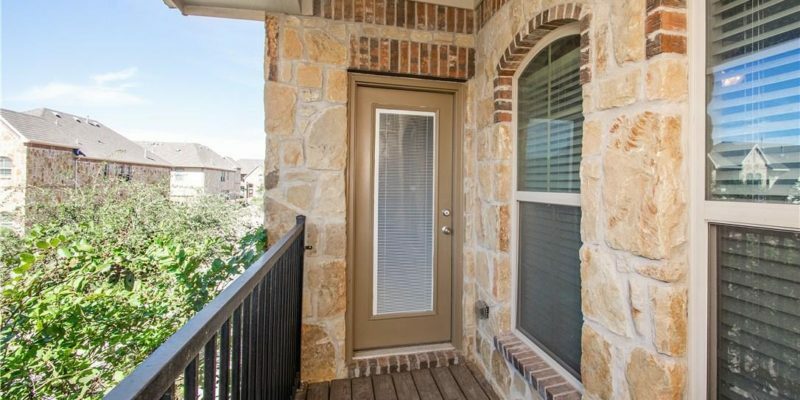 Property Type: Sold in 3 Days!